The holidays are upon us and Mother Nature has already provided a blanket of snow for us to enjoy...or not. I&apos;ve always felt that winter is the perfect time to create memories with your family and friends; taking the "long way" on your drive to see the twinkling lights or pausing with your loved ones to watch a quiet snowfall. It&apos;s time to make memories in the South Shore. If you&apos;re an outdoor enthusiast you can enjoy the crisp, cool air and the snow crunching under your feet during a peaceful hike. The South Shore has miles of hiking trails for you and your family to enjoy. The glacial meltwaters thousands of years ago created unique landscapes throughout the region. Visit the savannas and prairies in the Jasper-Pulaski Fish and Wildlife Area for a leisurely hike with moderate terrain, or hike sand dunes along the shores of Lake Michigan at the Indiana Dunes National Park in Chesterton. The National Park has more than 40 miles of trails through wetlands, prairies, dunes and forests. Don&apos;t forget your binoculars for bird watching along your hike. 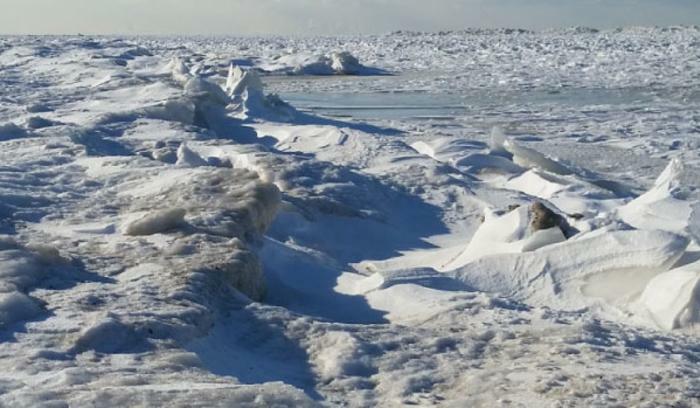 During winter, you can also find safe viewing areas to see shelf ice off the beach. For a faster pace, grab your skates and glide along the smooth ice at one of the ice skating rinks in the region. Deep River Waterpark has re-opened their skating rink this year for ice skating on the plaza; Valparaiso&apos;s Central Park Plaza will have ice skating daily at their brand-new ice skating rink; or skate indoors at the Midwest Training and Ice Center. Don&apos;t have a pair of skates? Not to worry, each location has skate rental, so you can bring the entire family and watch everyone fall a few times. In the mood to skate, but you don&apos;t like the ice? Bazz&apos;s Roller Rink in Rensselaer has been lacing up their skates for more than 60 years: guaranteed to provide some laughter and nostalgia for you and your family. Of course not everyone enjoys the outdoors; what better time to experience the indoor attractions nearby than during an Indiana winter? The Indiana Welcome Center in Hammond is the perfect place to start. 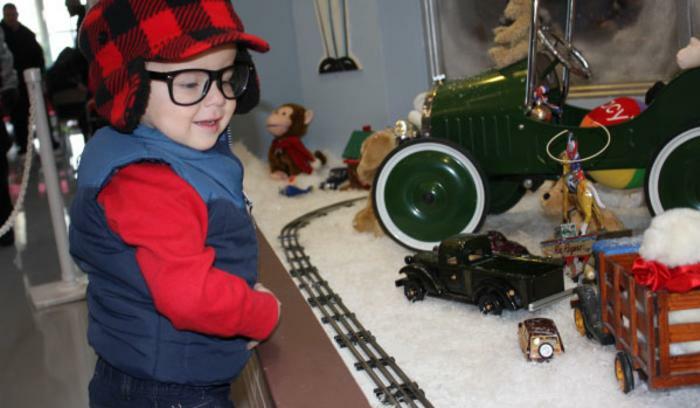 Enjoy the "A Christmas Story" Comes Home exhibit, while taking in a true Midwest Christmas. Hammond is home to the co-writer of the holiday movie, "A Christmas Story." Visit with Santa, watch the animated displays and kick-off your holiday right. While you&apos;re at the Welcome Center, ask the friendly staff for area attractions that you and your family may enjoy. Whether you choose to spend your winter outdoors in the fresh air, or bundled up indoors, make sure you visit your local downtown to enjoy the holiday cheer or a warm meal at your favorite restaurant.